Today we have Rast’o to share his experience with us. You haven’t heard about him because this is his first contribution to the blog. He is from Slovakia and you will surely enjoy his exciting trips. Q: When did you visit Ecuador? Why did you choose Ecuador? A: I was in Ecuador at the end of last year (2016). South America has always been my dream and Ecuador is perfect to start my exploration. You can find everything in a small area – ancient cities, high mountains, rain forest and nice beaches as well. Q: What was the season when you visited? Do they have four seasons too? A: They just have two obvious seasons – dry and wet. But there are significant differences in regions because of altitude. When i was there in November, it’s the beginning of wet season, but ideal time for mountains. Q: So can you tell me about how you went to Ecuador? If you used plane, how much was the ticket and how long was the trip? If not, please give me details about your chosen public transport. I traveled by plane and the journey was very long and exhausting… I started in Vienna (Austria), with transits in Madrid (Spain) and Miami (USA), then I finally landed in Ecuador… after 40 hours of traveling. Normal price of ticket from Europe is around 1 000 €, but there was a promotion price for 550 €. Wow! That’s a great discount! Q: In which Airport did you arrive? A: I landed in Guayaquil, the largest city of Ecuador, but not capital. However i don’t like big cities, so right from airport, I went to the countryside. Q: Did you book a hotel or hostel or you did couchsurfing? Among those 3 options, which one is the best and can you tell us why? I stayed in a hostels during the whole trip, but I didn’t book anything in advance. I prefer this type of accommodation, because i never know where i will be in the evening. I think that couchsurfing can also be cool, but i haven’t tried it. Q: What do you like about Ecuador? A: As I mentioned, i like the diversity of Ecuador. One day I was walking through the jungle, the next day I was climbing the volcano high above 5,000 meters and the next morning I was swimming in the Pacific Ocean. Q: What can you say about the locals, if you had a chance to communicate with them? A: In this country, nice and friendly people are linked with nature. They always tried to help me, but they weren’t intrusive. Q: What’s their official language, and do you think it’s easy to understand or not? 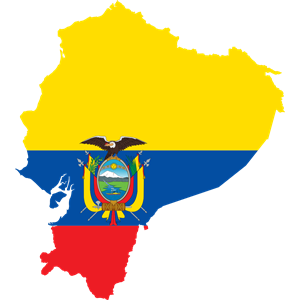 A: Official language in Ecuador is Spanish. Almost no one can speak English there. It was a big problem, because i don’t speak Spanish at all. I communicated by hands and after three weeks there i understood many Spanish words.. haha. Haha! I totally understand the need to improvise. I did that too, I communicated in a different way since hand signs aren’t working well. Good thing I had some sheets of paper with me so I drew something that I was talking about. It was indeed effective! Q: Did you have expectations about Ecuador prior to your trip? If yes, what was it, and did your experience live up to your expectations? If none, then would you say that you are satisfied with your trip? A: I read one book about Ecuador before the trip, so i knew something about the country. I expected the stunning scenery and nice people. All this is true. Q: What food have you tried in Ecuador? Can you tell us more about it and its taste? A: One of the traditional foods you should try while visiting Ecuador is “cuy”, that is roasted guinea pig. For me it was something special, because in my country this is animal pet. But it tasted delicious, like chicken or rabbit. Q: Did you buy some souvenirs? A: Yes, a lot, really!. Ecuador has the most beautiful souvenirs I have ever seen. On indigenous market you can find handmade crafts – woolen goods such as ponchos, sweaters, scarves, hats as well as hammocks, carvings, paintings and so on. Say three words that best describe Ecuador. A: Altitude, diversity and humility. Q: Would you visit Ecuador again? A: I have traveled many countries, but Ecuador is certainly one of those where I wish to go back. I fell in love with South America. What a lovely experience Rast’o! Next Post Mountain Adventures with Nikhsplorer!